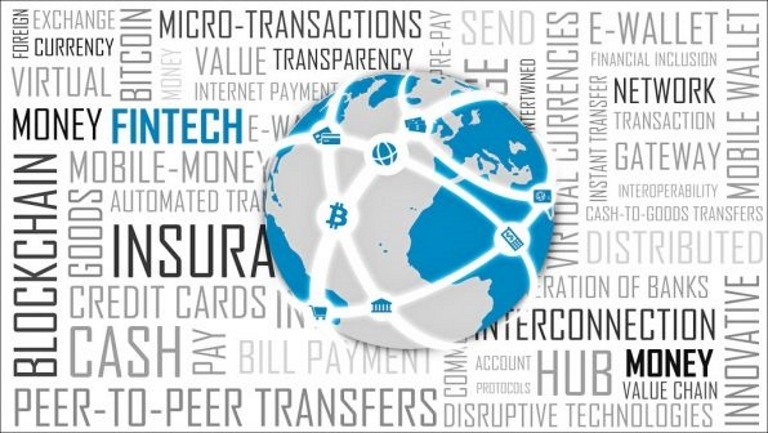 Blockchain fintech is yet to fulfill its transformative potential. Photo credit: Monito. Basic infrastructure needs to be put in place before blockchain fintech can solve persistent problems that hold back growth and job creation. Blockchain, as well as other applications for fintech, has the potential to solve lots of problems. But we’re not there, yet. Despite the billions of dollars invested, all the proof of concepts and the excited news stories, blockchain pilots by and large have not been mainstreamed. Basic infrastructure needs to be put in place before the hype can meet reality, before we see blockchain fintech solve persistent problems—namely transparency and financial inclusion, including at small and medium-sized enterprises (SMEs)—that hold back growth and job creation. Amid the fog of hype, we need to be careful to steer this in a meaningful direction, one that will benefit society. Contrary to what many of us originally thought would unfold, there is no evidence to suggest fintech is improving financial inclusion and participation in the global economy, or reducing financing gaps among SMEs. ADB’s 2017 Trade Finance Gaps, Growth and Jobs Survey bears this out: there is no evidence to support the idea that fintech is reducing gaps. No question – where implemented, it’s reducing cost and gaining efficiency; those are good outcomes, but we can now see that reducing cost is not the boon to inclusion and to SME finance that we once thought. We need to develop some basic infrastructure before blockchain fintech can advance to a point where it provides meaningful solutions for transparency and financial inclusion. We need fintech not only to reduce cost, but also to make transparency and performance-related due diligence more efficient and reliable. Even if less cost is involved in supporting SMEs, a financial institution won’t get involved if it can’t get comfortable—in an efficient and reliable way, with anti-money-laundering/know-your-customer (AML/KYC) risks on the transparency side, and performance type risks. There are two challenges hampering the ability of blockchain fintech to address these transparency and performance issues: the supply chain is slow to digitize, and there is a lack of interoperability. What impedes progress on these two challenges is a lack of standards, and legal and regulatory uncertainty. Below are 3 specific initiatives that can create the infrastructure required to get blockchain fintech closer to all the hype and promise. Digital Standards in Trade (DST) is a fledgling World Trade Board initiative designed to do three things. First, identify existing standards—many co-exist and overlap—and choose or merge the most appropriate one(s), then seek buy-in from all component parts of the supply chain, and then drive industry-wide adoption. Second, where standards don’t exist, DST will develop them in concert with all component parts of the supply chain: buyers, traders, sellers, shipping, customs, ports, warehousing, logistics and financial institutions. DST will create the standards infrastructure necessary to deliver interoperability. Third, DST should come with a scorecard benchmarking industries on their degree of digitization. This would create awareness, and hopefully encourage industry-wide initiatives to "get with it." Another piece of architecture required to advance blockchain fintech is a global harmonized identity for all companies, large and small. Mandated by the G20, the Financial Stability Board created in 2014 the Global Legal Entity Identifier (GLEIF) system. GLEIF is a non-profit entity overseen by more than 70 regulators that created a system capable of issuing unique identifiers inexpensively. Behind the unique identity is verification of (i) who’s who, (ii) who owns whom, and (iii) who owns what. The benefit to all companies in the world having a GLEIF is clear on the transparency (AML/KYC) front. But more than that, it is critical infrastructure required to mine large pools of metadata for information pertaining to the specific (small) company on which a financial institution is conducting due diligence. Without reliable identifiers, the huge pool of metadata that blockchain fintech promises may be impossible to navigate. GLEIF provides an essential piece of infrastructure for the future economy; it helps to advance blockchain fintech to a stage where it can have meaningful benefits for society. Without rules accepted by courts, there will always be a certain level of reluctance to embrace digitization. Formed in 1919 in the absence of a global system of rules to govern trade, the International Chamber of Commerce (ICC) created in 1936 an industry standard that would become known as the Incoterms rules, which has become accepted by courts all over the world. We are in the same situation today as we were pre-1936 with respect to trade digitization. The ICC Banking Commission has a strong role to play in filling a void of acceptable rules. The hype is fun and dreaming is important, but to catch up with reality we need to develop some basic infrastructure. Creating digital standards for trade, rules for digitization, and achieving global adoption of one harmonized legal identity for companies will create the infrastructure required to move blockchain fintech further. It’s only that way that we will be able to use this technology to solve real problems in transparency and inclusion.